Out of 2000 respondents, 90% confirmed that they own promotional products. On average they use them once per day and 50% could recall the brand or company that gave it to them. By comparison this brand recall reduces to 38% for radio & 28% for TV, which indicates that recall of these advertising mediums is not as effective. 83% of respondents like receiving a product with an advertising message. 48% would like to receive promotional products more often. On average 91% had promotional products in their kitchen, 74% in the workspace and 55% in the bedroom. People keep promotional products everywhere. Research has shown that many people have more positive views of companies after they have received promotional products. The majority of people, 61%, also report that they are encouraged to look into the products of the company after receiving a promotional item. Receiving a gift also has a positive effect on securing new customers. Integrating a promotional product with television and print outpaced both mediums alone in message credibility and referral value. 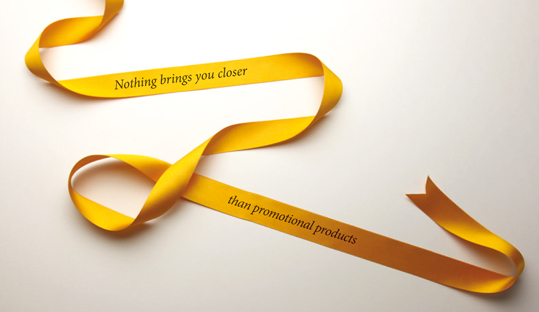 Promotional products have the flexibility to fit the cost of a promotional campaign to any budget. Promotional products deliver a lower cost per impression than any other media. On average 70% of respondents keep promotional products for anything up to 4 years. Our products perform a major service in promoting business, products and services in all walks of life, throughout the world. We are proud of this and the more of our end users that know about these benefits the better!